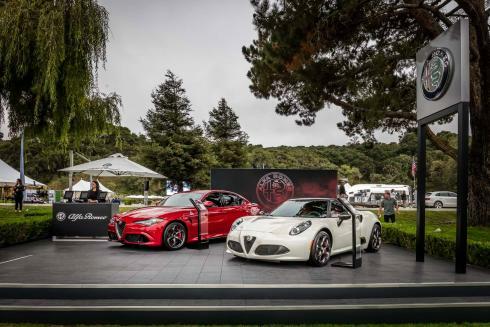 For the second year in a row, Centigrade had the opportunity to represent Italian automotive manufacturer, Alfa Romeo at Monterey Car Week. The brand really made its mark on this famed automotive week with six significant events over five days. During Monterey Car Week, Centigrade showcased the brand at well-known events including McCall’s Motorworks, The Quail, A Motorsports Gathering, Concorso Italiano and the Pebble Beach Concours d’Elegance. 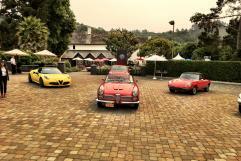 Other activations included Exotics on Cannery Row and a three-day Alfa Romeo 4C Spider Drive Experience at the Folktale Winery in Carmel, California. Each event was developed and enhanced with messaging tailored to the respective audience. The Alfa Romeo 4C Drive Experience included a great combination of pristine driving routes and a serene venue for guests to enjoy. To ensure Alfa Romeo’s guests had the best possible test drive experience, it was our goal to stay away from bumper to bumper traffic often found elsewhere on the peninsula. Equally important, the winery offered guests a chance to relax and wind down during the hectic weekend of events. Centigrade was able to deliver more than 200 test drives across three days to current and future owners. The winery was also the location of a VIP Influencer Event co-produced by The Hollywood Reporter. Guests were invited from all over the United States, and even included the famous “car guru” himself, Jay Leno. Alfa Romeo displayed the entire range of vehicles throughout the weekend including the 4C Coupe, 4C Spider and the anxiously anticipated new Giulia. Centigrade was able to help Alfa Romeo collect over 1,200 leads as part of the exciting week of events. Thank you to everyone who helped make the week a huge success!